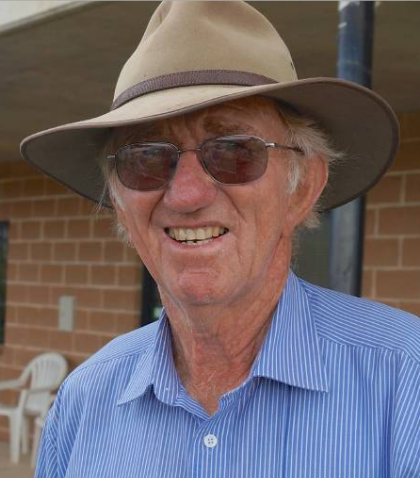 If your talking commitment, it doesn’t come in a larger form than that displayed by veteran trainer Merv Bennett. Twice a week, Bennett loads up his four horses from his property near Moruya for the 320km round trip for fast work at Moruya. This six-hour ritual is a massive workload for Bennett who leaves home at 5am and arrives back at 11am. But he isn’t complaining ... not one bit. “I love it and it is working,” Bennett said as he prepares in-form stable favourite Kormaddie for his next assignment at Moruya on Sunday. “It’s a bit of travel, but it has brought out the best in Kormaddie who has learned to settle in his races because of the work done by him with Willy Pearson. Merv Bennett [pictured left] will have to wait until the last race to see whether Kormaddie can do it again with 61kg. The galloper has won four of his past seven starts with two of those coming with Sunday’s jockey Shaun Guymer. Bennett said the two and up to three times a week travel has settled Kormaddie combined with the benefit of having Pearson aboard. The 74-year-old races Kormaddie with his wife, son and daughter and hopes the stable star can add another win on a slow rated seven track which isn’t his favoured surface. Bennett is loving his routine and doesn’t mind the travel.